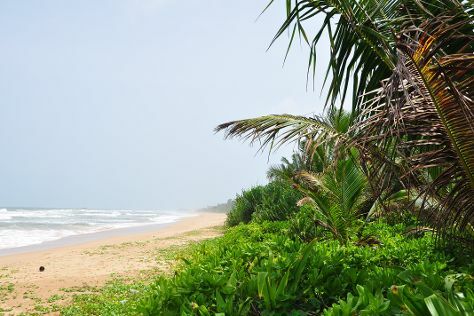 The coastal town of Bentota boasts a number of seaside attractions to draw in guests. Your itinerary includes some good beach time at Bentota Beach and Hikkaduwa Beach. Venture out of the city with trips to Sinharaja Forest Reserve (in Galle), Katukurunda Beach (in Katukurunda) and Hikkaduwa (Narigama Beach & Turtle Hatchery Hikkaduwa). Spend the 29th (Sat) observing fascinating marine mammals with a dolphin and whale watching tour. There's lots more to do: identify plant and animal life at Galbokka Sea Turtle Hatchery, stop by Ayesha Gems and Jewellers, surround yourself with nature on a nature and wildlife tour, and stroll through Akurala Beach. To find ratings, maps, traveler tips, and other tourist information, use the Bentota vacation planner. Sydney, Australia to Bentota is an approximately 21-hour flight. You'll gain 4 hours traveling from Sydney to Bentota due to the time zone difference. 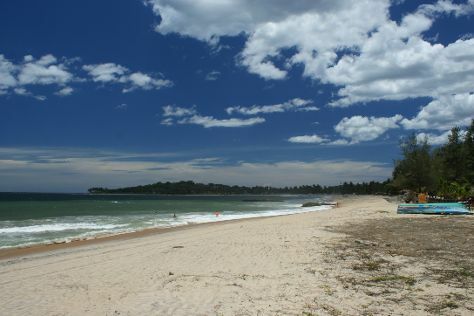 Traveling from Sydney in June, expect Bentota to be warmer, temps between 37°C and 30°C. Wrap up your sightseeing on the 2nd (Tue) early enough to drive to Mirissa. Visit Jungle Beach and Medawatta Beach for some beach relaxation. Popular historic sites such as Galle Fort and Unawatuna Devol Devalaya are in your itinerary. Venture out of the city with trips to Unawatuna (Spas & Wellness, Unawatuna Beach, & more), Galle (Dalawella Beach & Sea Turtle Farm) and Matara Beach (in Matara). There's much more to do: see majestic marine mammals with a dolphin and whale watching tour, see some colorful creatures with a scuba or snorkeling tour, take in the spiritual surroundings of Matara Paravi Duwa Temple, and kick back and relax at Mirissa Beach. For where to stay, maps, traveler tips, and other tourist information, read our Mirissa itinerary website . You can drive from Bentota to Mirissa in 1.5 hours. Another option is to take a train. In July, plan for daily highs up to 39°C, and evening lows to 30°C. Wrap up your sightseeing on the 7th (Sun) to allow time to travel to Sigiriya. Your cultural itinerary includes sights like Ancient City of Sigiriya and Golden Temple of Dambulla. Step out of Sigiriya to go to Dambulla and see Ibbankatuwa Megalithic Tombs, which is approximately 1h 10 min away. Spend the 10th (Wed) exploring nature at Minneriya National Park. The adventure continues: identify plant and animal life at Wildlife Areas. Planning Sigiriya trip won't be overwheling when you use's Insprock itinerary maker. You can do a combination of flight and taxi from Mirissa to Sigiriya in 2.5 hours. Alternatively, you can do a combination of taxi and flight; or drive. Finish your sightseeing early on the 10th (Wed) so you can travel to Arugam Bay. Get a sense of the local culture at Sangaman Kanda Lighthouse and Sangamankandy Pilliyar Kovil. Go for a jaunt from Arugam Bay to Yala National Park to see Okanda Devalaya about 1h 05 min away. For maps, traveler tips, and more tourist information, you can read our Arugam Bay sightseeing planning site . You can do a combination of flight and taxi from Sigiriya to Arugam Bay in 4 hours. Alternatively, you can do a combination of taxi and flight; or drive. In July, daytime highs in Arugam Bay are 39°C, while nighttime lows are 30°C. Wrap up your sightseeing on the 13th (Sat) early enough to travel to Kandy. Temple of the Sacred Tooth Relic and Spas & Wellness are good opportunities to explore the local culture. 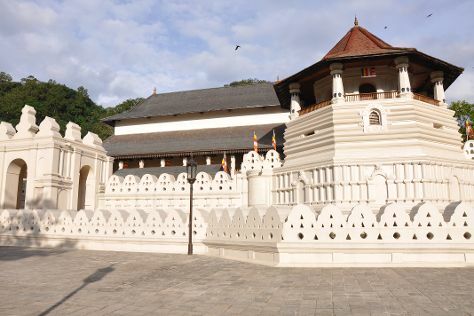 Your inner history buff will appreciate Nelligala International Buddhist Center and Kandy Garrison Cemetery. Change things up with these side-trips from Kandy: Elephant Freedom Project (in Kegalle), Pinnawala Elephant Orphanage (in Pinnawala) and Scuba & Snorkeling (in Hikkaduwa). Spend the 17th (Wed) wandering through the wild on a nature and wildlife tour. Make the 20th (Sat) an awe-inspiring day at Saga Travels & Tours Nuwara Eliya. There's much more to do: take in nature's colorful creations at Royal Botanical Gardens, stroll the grounds of Commonwealth War Cemetery, look for all kinds of wild species at Udawattekele Sanctuary, and play a few rounds at Victoria Golf & Country Resort. To see other places to visit, photos, where to stay, and more tourist information, use the Kandy online driving holiday planner . Traveling by combination of taxi and flight from Arugam Bay to Kandy takes 3 hours. Alternatively, you can drive; or do a combination of bus and train. Wrap up your sightseeing on the 21st (Sun) early enough to travel back home.